​Ladies and gentlemen, the ​Patriots' sixth Super Bowl win was so very boring that we owe it to ourselves to make this the story instead. Tom Brady, winner of a remarkable six rings, took home yet another Lombardi Trophy, and his postgame interview was delayed by a ton of weird on-field jostling. It just wouldn't settle down, and the weirdness was capped by...uh...this: Robert Kraft locking lips with TB12. ​​Is this part of the TB12 Method? Yes? No? We're not going to pretend this is the first time we've been made uncomfortable by a Brady kiss. ​​No one's going to remember this game. Someday, we'll check the record books, see that Brady's won 10 Super Bowls, or whatever he ends up with when he retires in 2028, and say, "Gee, I remember nine of them clearly. What was that 10th one?" 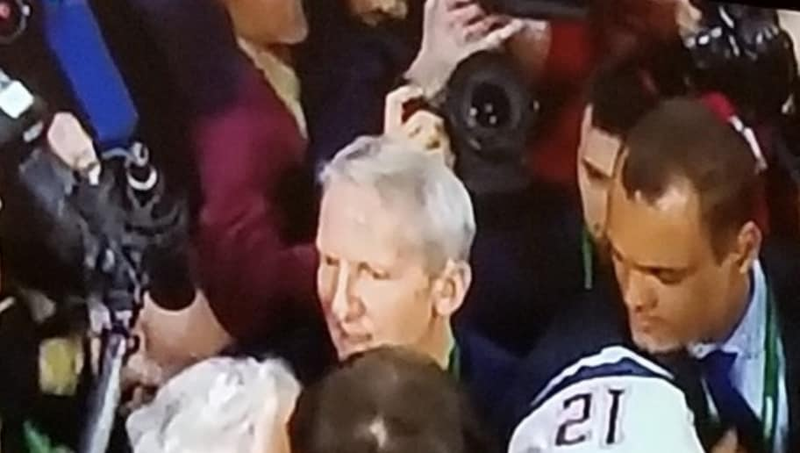 And someone will say, "It was the worst Super Bowl ever, but it ended with Brady kissing an old man." And we'll smile and nod.